Waiting for Spring to arrive this year has been a bit like being in a Samuel Beckett play, but for today's '3 4 Friday' #fridayreads we take an optimistic view of things - and have three books which, in their very different ways, tap into our unique relationship with the outdoors, and our obsessions with weather, wildlife and gardens. Let's start with the weather shall we. England - you will not be surprised to learn - is a country notorious for bad weather, and for people always *talking* about said bad weather. In 'Turned Out Nice Again' author Richard Mabey examines just that; people's preoccupation with weather. This intriguing book looks at some of the strangest weather the country has ever experienced as well as the cultural and emotional effects weather can have. Mabey is one of our finest - and most profound - writers about our relationship with nature, and whether it's the great storm of 1987, or a violent electrical in Norfolk in the 1500s, Mabey evokes the terror, wonder and effects such weather has on us - and on our psyche. Talking of obsessions (or rather, passions) Ruth Brooks love of gardening led to her winning BBC's 'Amateur Scientist of the Year'. Plagued with snails, but compelled to find a solution (humane) she started investigating whether snails had a homing instinct. What resulted from her investigations is told in 'A Slow Passion', and it's a revelation: sweet, funny, unexpected, Ruth's story makes this unusual tale a hugely enjoyable read. Food, what's in it and where it comes from is a growing concern for many people, and there has been a boom in recent years of people wanting to grow their own on allotments throughout the country. 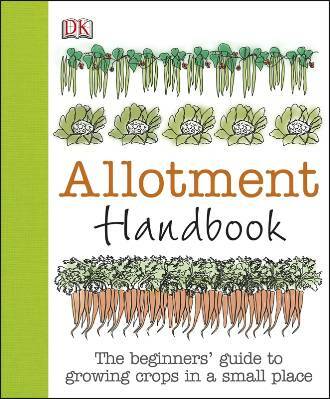 Dorling Kindersley's 'The Allotment Handbook' is the perfect guide for allotment gardeners that have just started out. 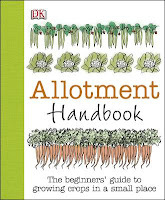 Full of easy-to-follow advice for help with problems such as pesky slugs (and snails - see above), growing and storing vegetables, to exactly how to prepare your plot, this brilliant handbook covers all the issues budding gardeners will have - and looks to become a future classic for all allotment owners. Haha I'm definitely going to check out the Mabey book! Being a Brit (half Liverpool, half London) living overseas means that I'm often explaining the intriguing nuances of British culture to foreigners... hopefully I'll be able to gain a glimmer of insight into the reasons behind our obsession with small talk about the weather :) Thanks for sharing!